Di Zhang is an emerging yangqin (i.e., hammered dulcimer) virtuoso active in Toronto’s music scene. Di received her Master’s in Music from York University in 2018 and is currently pursuing her PhD in music at York University. Di is especially interested in improvisation and contemporary composition, taking part in York’s Global Improvisation Lab and World Music Ensemble. Her improvisation was featured in an album “The Path to Contemporary” as well as two concerts that presented live transcontinental improvisation and performance. Her research thus far has revolved around the cultural study of an instrument, the development of Chinese music, and analysis and innovation in modern yangqin music. Di was born into a family of musicians and started learning how to play the yangqin when she was four. At seven, she was accepted into the Chinese Nationalities Orchestra Society, and in 2002, she studied with yangqin virtuoso Xue Shu and acclaimed professor Xili Gui in the primary music school of China’s Central National University. As an undergraduate student at the Conservatory, Di continuously studied with them and held her solo concert at Minzu University Recital Hall, graduating as a top student in 2012. During that time, she developed both as an orchestral musician in Beijing’s Central Orchestra of Ethnic Minorities and as a soloist, winning the top award for performance at the first International Community Art Festival national instrument contest (Singapore 2010), the “Hua Yi Award” for best musical performance (Macao 2005), etc. 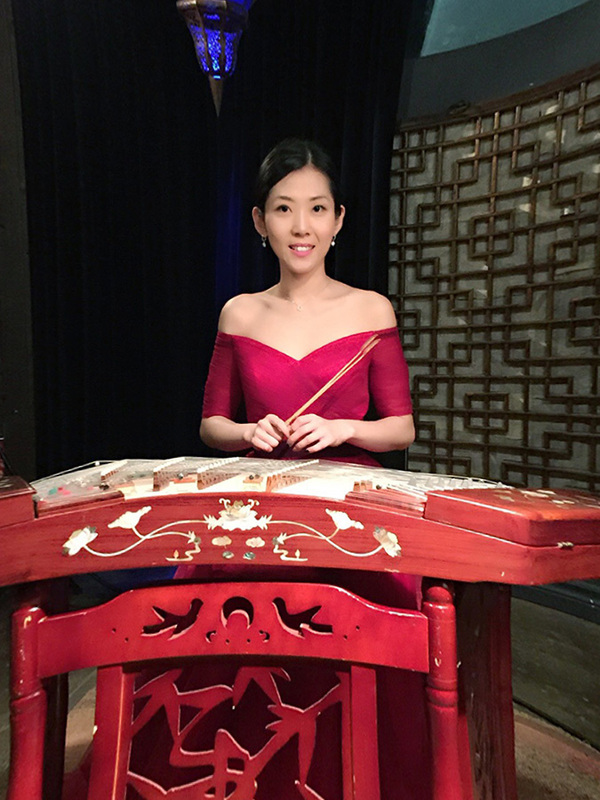 In Canada, Di is an instructor at Amigu di Macau and North American Chinese Orchestra and performs with the Toronto YueFang Ensemble, Toronto Chinese Orchestra, and Melody of Bamboo Ensemble. She has performed at Toronto Music Garden, Wilfred Laurier University, and the University of Toronto, amongst others. Di is also an accomplished percussionist, performing Chinese drumming at The Sony Centre for the Performing Arts and Metro Toronto Convention Centre. In 2014, Di performed yangqin and Chinese drum with the Canadian Sinfonietta at the CBC’s Glenn Gould Studio. Tours have led Di to performances in Vancouver and Portugal. In 2017, she held her solo concert at York University Tribute Communities Recital Hall. Di is dedicated to and passionate about the promotion of new music. Di aims to pursue advanced music studies while continuing to perform, teach, explore, and share new music with diverse cultures.